The Dreamcast era was a special moment for many a SEGA fan. At the time, it was the company’s last great hope, but soon transformed into its swan song. For fans of the SEGA brand, even if the system had no hope on tackling the PlayStation behemoth, it was an unbridled time for ingenuity and creativity. One of the draws for the company had always been its lack of fear when it came to innovation, and games like Jet Set Radio and Phantasy Star Online were offerings other players at the time just couldn’t provide. Of course, the return of Sonic the Hedgehog as a full-fledged icon was more than welcomed. It was the hedgehog that drew many people to the system in the first place. How many would have played through Streets of Rage or Ecco the Dolphin if they had not first bought a Genesis to run through the one video game that could take on Mario? That’s what made the unexpected arrival of Sonic Dreams Collection all that more alluring. The website in which the unassuming program was released sets the stage: that during the prime of SEGA’s developmental creativity, a small, previously unheard of studio within the halls of the company wanted to use the Sonic brand in all sorts of wild, new, game-changing directions. Sonic Dreams Collection might be the greatest Sonic the Hedgehog game of the past decade. 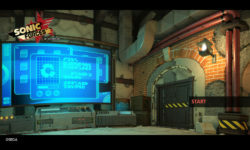 The Unity-powered presentation purports to be four different games, each a prototype in the years between 1996 and 1999. That specific era was definitely tumultuous for Sonic already, starting off in the hype and eventual fizzle of Sonic X-treme. How could one forget the promise X-treme held as the Sega Saturn tried desperately to be as big a player as its predecessor. And with it silently buried, having 3D Blast as a consolation prize became an even bigger wound as 1997 gave us a collection of games we had played to death and a racer that, while fun in short bursts, was not nearly enough to scratch the itch the original platformers gave us all. Sure, it’s more than obvious once the game is booted up that this isn’t really a collection of Dreamcast prototypes never before seen. But just the mere notion of multiple Sonic-related projects being developed in tandem with Sonic Team‘s reclaiming of the franchise? It’s nothing short of exciting. Especially when the word Dream not only evokes images of the dearly departed console, but of the one other franchise Sonic Team is so closely tied to. Of how a dream in the night provided a glimmer of hope that maybe, just maybe, the Saturn could tackle the likes of Super Mario 64 and Crash Bandicoot. When the title screen loads, the bright color palette is instantly comforting, feeling so much like a Dreamcast title screen. While the four can be clicked in any order, it’s best to start chronologically, the first being Make My Sonic. It would have been extremely easy for Arcane Kids to have gone the route of so many others, giving us some surreal platformer in either 2D or 3D, but instead, the text blurb leads us on a journey far different than the one we would expect. It’s easy to poke fun at Sonic being fast. 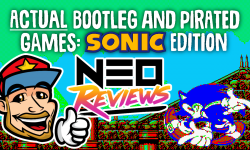 It’s another thing entirely to jump head first into that rabbit hole, the game becoming less a simple parody of Sonic and instead an exploration of the entire culture surrounding the gaming icon. In 1996, the Sonic the Hedgehog Internet community was still in its infancy. Only the year prior, alt.fan.sonic-hedgehog came into existence, meant to be less a place to speak about the games and more about the external media, most specifically the Saturday morning cartoon show and the comic it helped spawn. As time went on, more and more people would log on to speak about the games, the old guard slowly disappearing, the one thing they cared about having been canceled. But for anyone who joined the newsgroup, or indeed became an active participant in any of the various forums, chat rooms, and mailing lists, it seemed an unspoken rule that you were required to come up with some sort of fan character, most often naming it after themselves. This was long before the era of DeviantArt, long before flash games where you could design your own Sonic characters with poorly sourced shapes. Make My Sonic is the embodiment of this first step. An OC (Original Character) creator, clicking ahead to load the game brings you to its own dedicated title screen. Continuing on, one must click the “Let Go” button, a phrase that could just be interpreted as poking fun at the many Engrish expressions that have filled video games over the years, but could also be a powerful statement as to what you are about to experience. The command to Let Go of your expectations, Let Go of your fears, to Let Go and become enveloped in the world of Sonic the Hedgehog. Or at least, a skewed one powered by a very loud subset of fans. 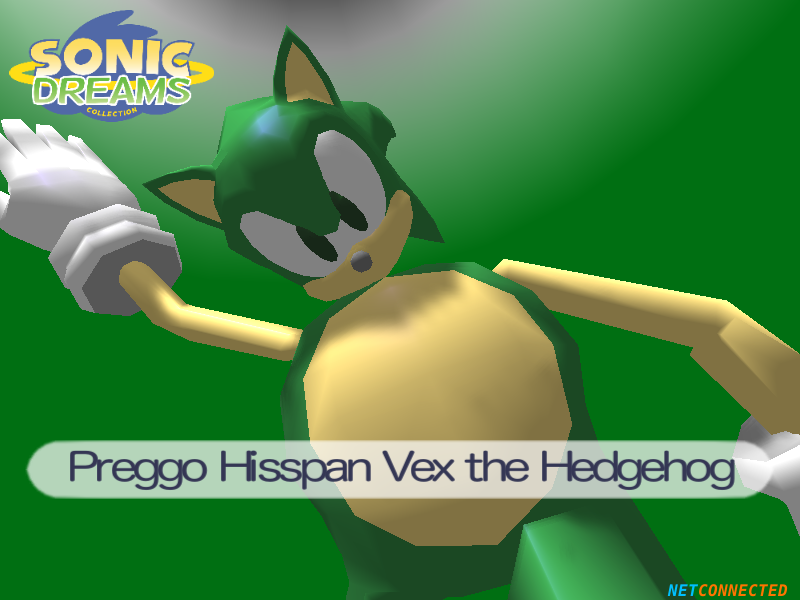 Loading up a very familiar blue hedgehog model, the name below already betrays what you see before you. This is not Sonic the Hedgehog, even if he is as blue and as cool as you remember him. Clicking through and altering his proportions, his arms and legs no longer matching the rest of his body, is the same as an unskilled artist, desperately trying to draw their own personal fan character as they don’t have the money to spend on having someone with talent realize their dreams. The name on the bottom, while a variation on a theme, is completely void of having true user input. No matter how crazy the name, you can not change it to something that you think suits your creation. For is this not how life works? We are born into this world with a name we did not choose, and while the Internet provides an avenue to come up with an alternate identity, to create a persona and change our name at will, deep down our original name still lies there, unable to be altered. That is what the name generator symbolizes. That which is out of our control. Indeed, not much is in the player’s control. You can move limbs wildly, stretch the head as far as one can muster, but in the end it all bounces back. You can throw as many rings at him as you want, but they always bounce away, showing the frailty we contain. Print Mode is a sobering look at how simplistic our fanon can be, that it is all but a few sparse lines indecipherable from the rest. A bleak look, but one that can be tweeted out again and again, with each random name being more insane than the last. A cry for uniqueness with so little control, so little to offer. That lack of control continues on in the next game, Eggman Origins. The blurb says its meant to be an MMORPG, but not much is known about what it was. Clicking on it provides few clues, a strange egg-man with his single eye standing in the corner, a palm tree on either side. The large text declaring that no network adapter is connected leaves yet another level of uneasiness, for if that network adapter was found, then perhaps control would be restored. Autonomy reclaimed. Semblance of self and sense would be. But until that point, one can only go back, and continue down the chronological staircase of Dream. 1998 was a special year. The Dreamcast was finally unveiled to the world. August 22nd gave us our first unbridled look at Sonic Adventure. For a moment it looked like SEGA was going to be back on top, Sonic leading the way. And in the world of Dreams Collection, the Sonic Movie Maker was developed. A strange game “years ahead of its time,” linking that primordial fandom of the 90’s with the current, sometimes absurd, Sonic fandom of the modern day. Those that scribble nonstop on fanfiction.org, or who spend hours upon hours perfecting their artistry for Tumblr, or especially those that try to craft something for YouTube in the hopes it will be watched millions upon millions of times, regardless of quality. 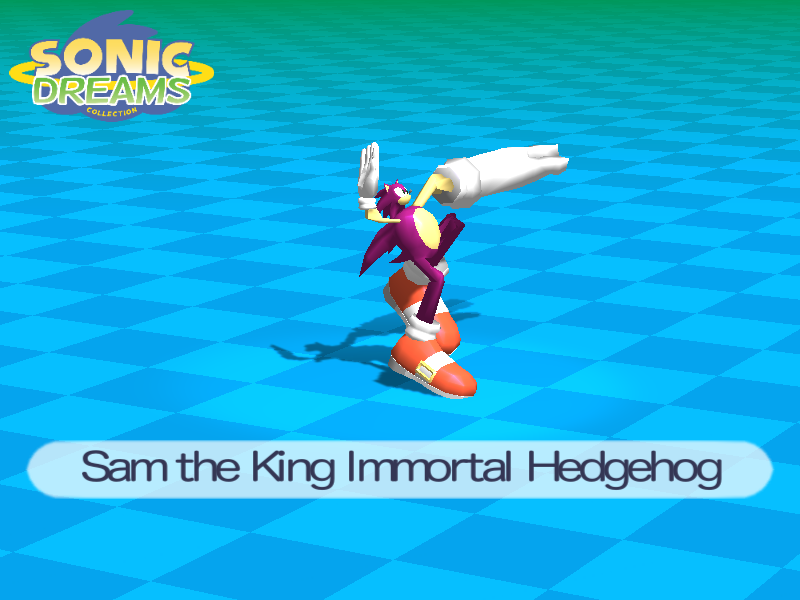 The title screen sets the stage, first loading the familiar Sonic Team jingle that rang through both NiGHTS Into Dreams and Sonic Adventure, but instead of the Sonic Team logo, we see a “Sonic Dream Team” logo, the only time the people who made the game are referred to as such. It turns out the logo is playing on a handheld camcorder, being watched by two familiar beings. What should be Sonic is instead the fan character you created moments before, sitting next to “Tails“, laying back on a tiny island. In the background, a skyscraper surrounded by water, echoing the ending of Adventure. If “all’s well that ends well,” doesn’t it make sense that “Tails” would be perfectly content with relaxing on some spared sand, watching random six second movies in the aftermath of horror? Taking control of an undefined blob, you become the director of the fan character you created, a prop in the first scene of the game. Clad in a diaper, the character represents that innocent first step into the fandom. You found a message board, you decided to join it, and you created a fan character because it was “the cool thing to do.” The text bubbles that surround set the scene that you’re in, playing ball with dad in the yard, but there is no one else to manipulate. What this could mean is that you are the father of your own fan character, that you need to raise and nurture them, but it could also be the first sign that something much darker is afoot. That perhaps this character has no father, and instead imagines the fun to be had on this set, a fake backyard with a doghouse that has never held a furry companion, except Original the Hedgehog. The next scene skips ahead, your fan character having grown to teenagehood, flailing about on the dance floor of prom with none other than Rouge the Bat, who would not come into existence until 2001’s Sonic Adventure 2. For much like how all of childhood was fast forwarded through, the Sonic Movie Maker fast forwards to the modern era. 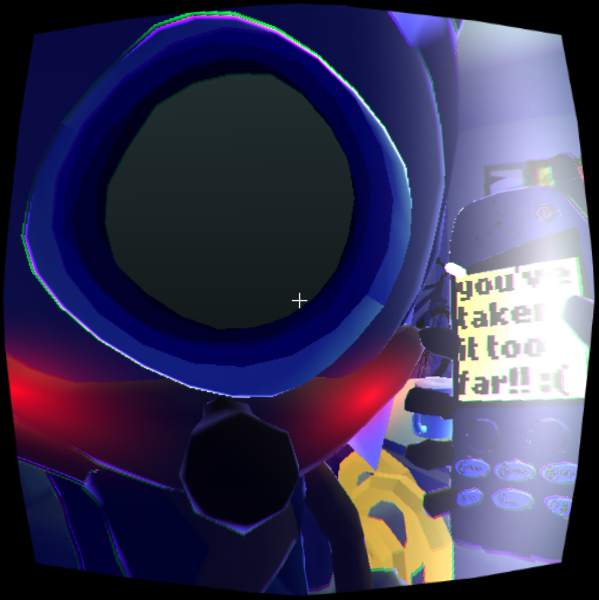 The game is ahead of its time as it suddenly reflects the world of YouTube, of people scrambling to make random videos of Sonic and the gang first in Gary’s Mod, then in Source Filmmaker. Of the people who write on and on about the characters being in high school, living through the trials and tribulations of normal teenagers. And why is Rouge the one who is featured as the dance partner? Because she’s not so intricately linked to Sonic, as anyone who is deep into roleplaying would ship the pair. She is the free one, the sexually open one. 18 years old, a treasure hunter, a government spy? Who oozes sexuality? Your self insertion fanfiction has come to life, the unknown “promise” of the speech bubble suddenly fulfilled. Each time, the cast of the Sonic games watch on, silent, unmoving. They do not cheer, they do not laugh or cry at your efforts. They have nothing to say about how you are manipulating them, especially as you delve further into the madness. They refuse to guide you, judging your films with a single line that gives no insight. Next scene, you finally meet up with Sonic, but instead of being speedy he is laying on a table, where you are forced to give him something to eat, watching him inflate with each bite. It’s not something you ask for, it’s not something you seek to create, but you are stuck if you want to know how this all turns out. Much like real life, where peering into the most dangerous of art sites gives you images of your favorite characters doing things they would never do in the games. Jump ahead again, Sonic is still caught on a table, forced to drop bowling balls onto the inflated hedgehog to restore him to normal, in the process having familiar imagery shoot out of him: rings, a Chaos Emerald, and finally Miles “Tails” Prower, the lonely fox from only moments before. Amy and Shadow watch silently on as they have the whole time, Dr. Eggman casually smoking a cigar as Sonic gives birth. As you escape, you see a casual mention that Rouge the Bat is the true patient, the walls morphing from the mundane hospital colo(u)rs into something far different, something seemingly alive. Rushing ahead in a cavern where nightmares are born, you see the figure of Big the Cat. Unexpected. You can not reach out to him, he can not reach out to you. Yet still, the chills instantly remind one of the Five Nights At Freddy’s games. Even though he will not cause your demise, the game reaches out to the current fads of the day and gives its own spin. Sonic can be deeply linked to the 90’s, yet just as relevant to today. An unexpected piece of commentary, especially considering where you are currently residing. Heading for the light at the end of a tunnel, you tumble uncontrollably along with a giant cheeseburger. Getting your bearings, you see your OC towering above you, standing right next to Rouge the Bat, who you have just fallen out of. Trapped in a crib with “Tails” and Blaze, you realize just how deep you’ve gone. Being a fan of Sonic, not being able to get enough, you took a wrong turn. Sure, Big’s gameplay might have been infuriating, but he deserved So Much More. Just like you. Your wildest fantasy is above you, but you are trapped in a world that you did not create. This isn’t what you asked for. You didn’t want to be your own child. This is not the Sonic High School you signed up for. 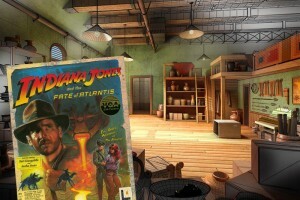 In six seconds of film, you can escape, but to where? The end. Full circle, back to the finale of Sonic Adventure, with the lone skyscraper caught in the ocean. A banner declares it takes a village, everyone flailing about as they have, but on fire. The flame is a symbol of cleansing, of trying to forget what journey you have gone through, and perhaps abandon the love of Sonic as a whole, though it was not Sonic Team that pushed you down this path. Yet the flames do not destroy. The figures continue their dance, being watched over by the ominous Eggman moon. Those far crazier would have walked away at this point. But the main screen beckons. There is one more game in the collection. One more title to click. One final hole to fall into. 1999. The year we all were reintroduced to the hedgehog. Blasting through Emerald Coast, those old feelings all came rushing back. We had missed Sonic, and now he was sitting right next to us. A passion that was justified with the universal praise the game received. All the insanity that we put ourselves through could be left in the past, for something new was afoot. A redemption. That was the moment Sonic, for all intents and purposes, became our roommate again. Perhaps this is why the game is called “autobiographical,” for even if My Roommate Sonic never happened as depicted in real life, it only took as many liberties as a modern Hollywood film on a true story would. You begin in the same position any gamer is intimately familiar with, sitting on a couch. A look to your left, Sonic gives you the thumbs up as you both watch a program about real hedgehogs sitting around doing whatever real hedgehogs do. Suddenly, your phone buzzes, a text asking if you told your new roommate just how you feel. The source of that message is from none other than Dr. Eggman, who takes on the role of matchmaker. For isn’t he the reason you know Sonic in the first place? If he didn’t try to take over the world, Sonic would just sleep under palm trees for the rest of his days, occasionally trying to mack on women named Madonna. Things seem normal at first, until Eggman tells you to give Sonic “the tickles.” The world of fetish as interpreted by hedgehogs begins yet again, and soon enough you pull off one of Sonic’s shoes so that you can tickle the underside, though his foot is clearly with toes. Is this perhaps the real reason the game was buried? That Sonic’s foot did not match the canon images of the no-toed characters? Perhaps, or maybe the foot was modeled in such a way that if anyone were to notice there was a difference, then maybe they enjoyed the twists and turns of Sonic Movie Maker more than they’d care to admit. Either way, Sonic begins to blush, and turns to face you, coming in close. Suddenly, the one aspect of Sonic’s redesign that has caused numerous, absurd debates – his eyes – becomes the main focus of the final act the player has control over. Eggman texts you again, telling you to look into them. Staring ahead, the strange single eye merges unto itself. Whatever color was there vanishes, instead becoming a literal black hole, sucking in anything near. All of the many arguments from the absolute absurd to the extremely mundane have resulted in this final moment, when Sonic drags you into the abyss. Flying too close to the sun, your wings – or, as in the case of the model, your head – have melted away. 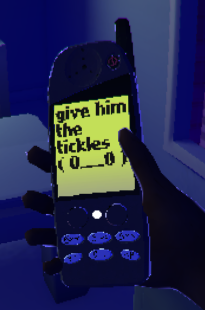 There is no chance of escape, which Dr. Eggman tells you through the phone. Even though he was the one who pushed you down this path. What little hope that might remain for normalcy disappears as the headless model begins to run, not to escape but to transform into the hero. Though still human proportioned, that familiar blue hue overcomes. The love of the hedgehog, the desire to make a fan character to fit into that world, takes its final step. Running through the Green Hill Zone, collecting rings and spinning about, the player is now Sonic, though they are no longer in control of any of the actions of that avatar. When you play a Sonic game, after all, you are not literally Sonic, but simply control the collection of pixels on the screen. But becoming Sonic, the hedgehog sitting on the couch transforms into the player, even though he only chooses to move his hand. The text message floating inside the television reads “I hope this is what you wanted,” signifying that the addiction has gone past the breaking point. During the third game especially, you could have turned it off and walked away. Certainly, one look at Big would have scared off even the most confident of people. But here, in the glow of the Oculus, the player has been completely enveloped in the world of Sonic the Hedgehog, be it the assets created by Sonic Team or from the infinite fanon developed over time. So sucked in, there is no escape, so one has to hope that you asked for it, because if you accidentally tripped into this rabbit hole, there is no light at the end of the tunnel. Even turning off the Dreamcast does not release you, for the game continues on. What of the unloackable content for the Sonic Movie Maker? Of the Roomate scene now available? Though not visually frighting like the Crib scenario, it has its own brand of fear, as the giant Sonic watches you, sitting next to the now-married roommate whose head has been replaced by a video camera. You have become simply a tool in a much larger tapestry. And the playable version of Snake sitting on the table? Obviously a profound statement on the current gaming landscape, that as huge, big budget 3D titles were being developed, the less powerful, more simplistic games of cell phones would soon overcome the market, Snake being the first. It has come full circle, and you are left with nothing but a camera to film your feelings and upload them to Twitter. Confused, startled, one might try to look back at how this all started, with a simple goofy character creator and a game that refused to load. Eggman Origins. If you have fallen into the tunnel and embraced its darkness, of course your mind would start to think towards the beginning. Of overanalyzing every moment of every Sonic game, trying to find meaning in that which was not given. And what bigger secret would one try to unravel than the origin of Dr. Eggman, or how he and Sonic first met? One of the things I’ve always liked about the proper Sonic games is how they’ve left the early years of Sonic and Eggman ambiguous. Sure, we know that Sonic was born on Christmas Island, and that the pair had fought prior to the events of the first Sonic the Hedgehog. But in a world where prequels and secret origins fill the airwaves, it’s refreshing that of all the pathways the Sonic titles have gone down, they have never felt the urge to fill in this gap. Sure, the comics have done their fare share, and the Saturday morning show did have an origin for Robotnik in mind, but I don’t need to see Sonic and Eggman fight over the last chili dog at a restaurant, thus starting a years-long feud that transcends time and space. That’s what headcanon is for, after all. Clicking on Eggman Origin, Sonic does say it is his “favorite story.” And what should be clear by now is that it is possible to play the game, but should really be saved for last. Not unlike the secret giant rings scattered about in Sonic 3 & Knuckles, Sonic Dreams Collection is full of random easter eggs, some within the game, others in the file structure. The biggest of these? 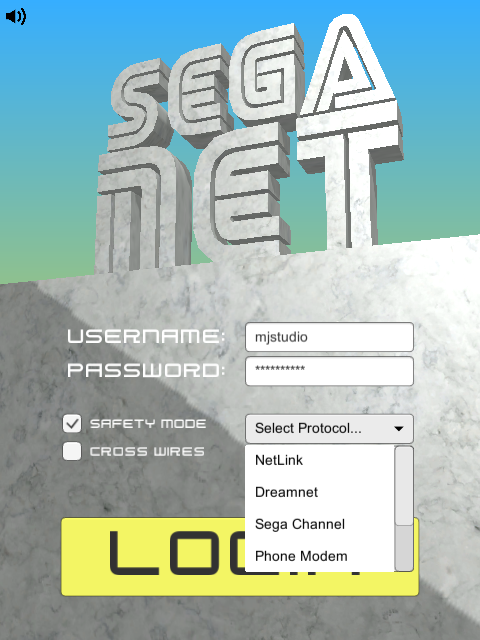 SegaNet, which when turned on allows Eggman Origin to come to life. After making an OC in Make My Sonic and uploading it to SegaNet, the primordial story begins. You play as your fan character, but instead of looking exactly the same, you are simply the colored Sonic head atop two elongated legs. You become birdlike as you enter the blank canvas of Origin, missing textures making it feel that it wasn’t far along in development. Yet the egg-men with their single eye and strange offerings of text make you wonder what was the true goal of this exercise, as you gather worms to feed Eggman, or at least the closest approximation. Then again, wasn’t Kintobor a close approximation of what Sonic Team originally intended? The quest to find answers is much like real life, with many roads but few that are helpful. There is an egg-man who tells you to “treat egg baby good, you might get an award.” Ominous music fills what is meant to be this massive online game, with the tiny Eggman siting in the center, watching your every move. You can feed him worms as the empty, textureles loop de loop of the Green Hill Zone towers above. Each time, the egg baby gets larger, until the true finale happens: Eggman enlarges, and ascends upon a giant Egg Capsule used to hold all those animal friends over the years. You can climb up the spiral pathway, but there is no freedom. The Eggman stretches out his neck and grabs your OC, who immediately turns into the reason we’re all here: Sonic the Hedgehog. All pretenses have been stripped away. Any lie that you may have told yourself, that this character who is ten times faster than Sonic and has ten times the amount of girlfriends and can chaos control better than Shadow and can punch stronger than Knuckles and fly higher than Tails…it all disintegrates in a moment. You lie bare, the layers peeled away so you are nothing but what you wish you were in the first place. Sonic. Who has now ascended for the first time. You can load up the game again, now with a textureless lamppost in the foreground, sitting upon an image of what the Green Hill Zone is meant to look like, but the continuous feeding of the egg baby just results in the destruction of more and more original characters. It doesn’t matter how many times you throw your derivatives at him, he is consumed, with only Sonic remaining, ascending each and every time, filling up the Chao Garden. What does this mean? What is the end result we are meant to take from this? Is the quest of history a futile effort? That even if we know the mistakes of the past, we are still doomed to repeat them, that we are now crazy as we try to get a different outcome from performing the same acts again and again? Even as we learn new skills, even as we find the secret easter eggs of the rest of the game, even as we give Tails to the egg-man and a burning heart lights the way, we will still collide into the quest to find an origin and instead be dismantled while Sonic endures against all expectation? Looking at the Dream Collection as a whole, it would be quite easy to take away pure pessimism from the themes explored, the allegories of fandom distilled into one brilliant, mental electronic experience.. That whatever Sonic was prior to 1996 has been lost forever, instead supplemented by the underbelly of the Sonic Internet community. Indeed, the fact this game has spread like wildfire and been praised to such heights might prove this thesis. But there could be an underlying hope, for the story of the game is that these were lost prototypes, games that not even SEGA would dare release. That if you can somehow survive the madness, there is still a kernel deep within that can be explored, that original germ of an idea that could make not just a good, but a great game. Sonic and Eggman, forever linked, that the quality will bubble up and ascend to the heights that the original Sonic the Hedgehog achieved, and continued to deliver as the 90’s went on. The unspoken promise of quality that isn’t all that far away. Or maybe the sole purpose of Sonic Dreams Collection is to remind people that Wayne Gretzky rules. I don’t know. The post Sonic Dreams Collection: A Closer Look appeared first on Sonic Retro.